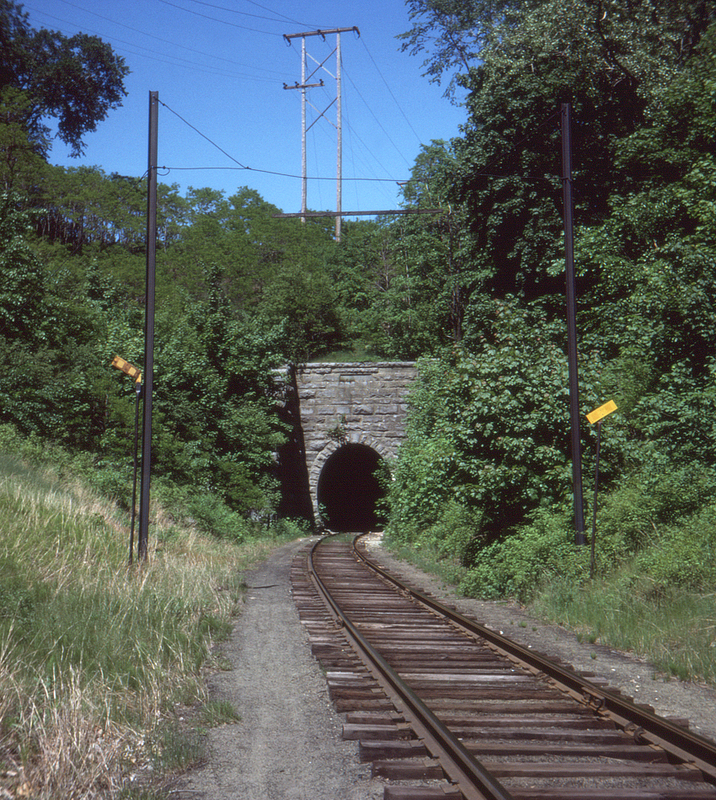 The Central Vermont's branch between Burlington and Essex Juntion, Vermont leaves the Lake Champlain valley through this tunnel at the north end of Burlington. Note the telltale over the tracks (something rarely encountered by now due to the safety ban on riding atop cars and the removal of roof walks), as well as the yellow boards providing instructions for flangers. Yes, it does snow here (a lot).